Create business web photo gallery, interactive flash gallery. Custom template background and control buttons. 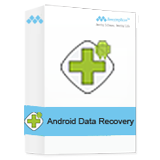 Multiple output format, swf movie, executable, screen saver and video files. 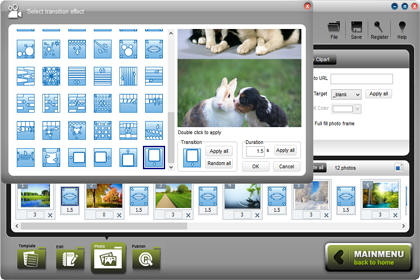 Simplify your creation of flash gallery with clicks. No Flash knowledge nor complicated HTML skill is required. Share videos and photos via animated gallery on social media networkings. 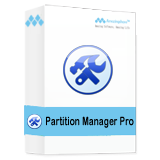 Support to add photos, video clips and music, no quantitative restrictions. 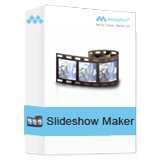 Amazing Flash Gallery Maker is an ultra slide show Flash tool that helps you to display photo album and slideshows on your own website. 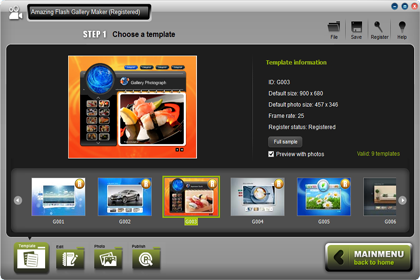 With dozens of preset themes, you can easily make XML driven photo galleries for websites. It doesn't matter if you have no idea about XML or FLASH coding. Just simply select desired template and create SWF photo slideshow with a few clicks with the amazing Flash authoring tool. 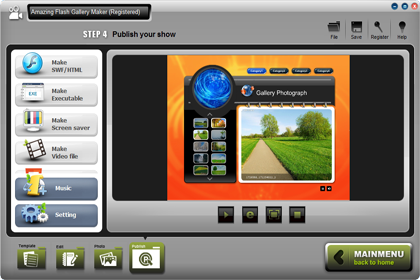 The four-step workflow makes you create eye-catching photo slideshow in minutes. Each template can be customized in terms of movie size, load style and other flash control options. 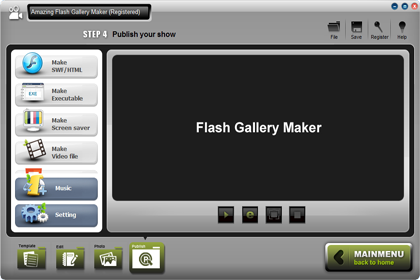 Amazing Flash Gallery Maker will be the easiest way to make styled slideshow matching your own website design. Moreover, you can make playlist, make presentation, add caption, export swf, share on facebook, embed, create links,create permalink, upload to facebook. A wide range of transition styles can be added between photos & videos. 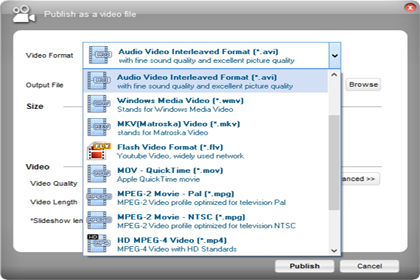 Amazing Flash Gallery Maker accepts various import and output video, audio and image formats. Please refer to below list to get detail information. 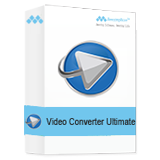 Video 3GP, ASF, AVI, AVM, AVS, DAT, FLV, MKV, MOV, MP4, MPEG, MPG, NSV, OGM, RM, RMVB, TP, TS, VOB, WMV, etc. Amazing Flash Gallery Maker can be the best flash video maker and photo gallery maker which contains more than 9 preset professional templates for your selection. Each template brings amazing effects to your photo gallery. Furthermore, you can customize each template as well as asjust the time of transition effect last as you like. 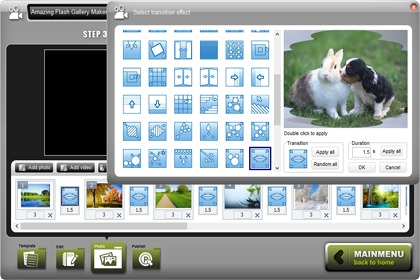 Amazing Flash Gallery Maker provides more than 70 transition effects to make your still images & videos alive on the website. You can select transition effect for each picture, or just let the slideshow play with randomly selected effects. With Amazing Flash Gallery Maker, you can easily make photo/video galleries for business photo presentations, website flash design or photos and videos sharing on popular social media networkings such as Facebook, Myspace, Blogger, Twitter and much more. It gives you easy steps to make flash galleries with powerful personalization features for greater control without Flash studio and knowledge of Flash. Beautiful Photo Galleries Made Easy! With Amazing Flash Gallery Maker, you can create amazing photo flash slideshows for watching on computer, burn the auto-run flash photo album to gift CD/DVD, build a web gallery with amazing flash slideshows with dynamic SWF + HTML + XML files, or embed the slideshows to MySpace, Blogger, Friendster and many other social websites.Amazing Flash Slideshow Maker helps you create personal website slideshow, photo album, product showcase, web banner, business presentation, flash intro and achieve more other flash slideshow work. And you are even allowed to add password for personal use. How to use Amazing Flash Gallery Maker? 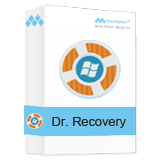 Dr. Recovery is the best Hard Drive Data Recovery software to retrieve lost, deleted, formatted data fast, safe and complete. 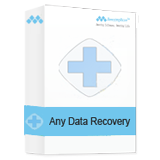 An easy-to-use wizard, no prior recovery tool to fully recover documents, emails, photos, videos, audio files and more. 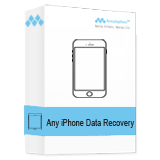 It provides you the world's best solution to recover photos, contacts, messages, ect. from iPhone, iPad and iPod.